You have 10 days to visit each of the author blog sites that will be listed/linked at the end of each of our contest blogs, for your convenience. When you visit each site, you’ll be able to pick up gardening tips (from the talented green thumbs) and/or recipes (from the foodies). 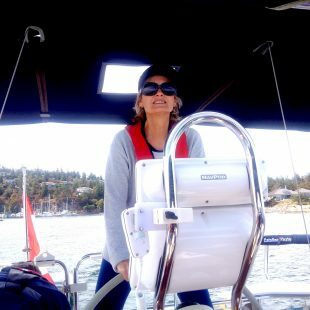 As well, if you leave a comment at each site, you have opportunities to win give-aways and you’ll be entered in the Grand Prize Draw for a Kindle Fire or Nook (winner’s choice) and a $25. gift card for eBooks. Please don’t forget to leave a contact email in your comments so that the Rafflecopter can choose the Grand Prize winner and individual authors can contact give-away winners. We will want to mail your prize/s out to you ASAP. Of course, after perusing my humorous blogs that serve as samples and tips for writing powerful blogs, you may even wish to subscribe to my blog: http://twocandobooks.wordpress.com. I’d love that! You KNOW you want these… make sure you leave a comment with your contact email (and maybe even subscribe to my blog-YES!) 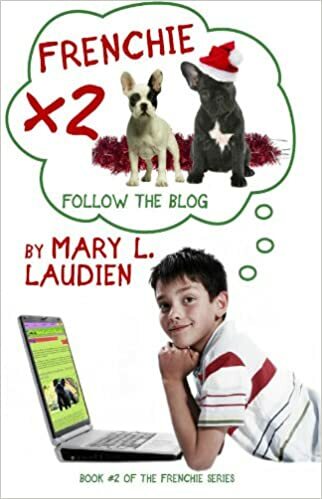 And never hesitate to forward my site to any Middle Grade reader, parent, or grandparent, or simply anyone who is “gaga” over their pets for some fun, humorous reads! And now, don’t forget to copy these recipes. They are so, so tasty! Cook pasta in a large pot of boiling water, following package directions but omitting salt, until al dente, 6-8 min. Heat a large frying pan over medium-high. Add oil, then shrimp and garlic. Stir-fry until shrimp turns pink, 4-6 min. Remove from heat. Drain pasta and add to shrimp. Stir in lemon juice, preserved peel, brine, basil and parmesan cheese. Serving Tip: omit shrimp and serve this pasta as a side dish with roast pork. Cooking Time: about 35 min. Combine the first 9 ingredients in a bowl large enough to hold the chicken. Add the chicken and turn to coat. Cover, refrigerate, and marinate the chicken for 4 hours, or overnight, turning occasionally. When hot, lightly oil the grill. Grill the chicken 2 to 3 minutes per side, or until the exterior is nicely colored. Move the chicken to one side of the barbecue. Turn the heat off on that side of the barbecue; leave the other side at medium-high. Close the lid and cook, turning the drumsticks from time to time, for about 30 minutes, or until cooked through. Set cooled chicken on a serving platter or board. Garnish with parsley sprigs and lemon slices, if desired, and serve. Remember to visit all the authors at the links below. You’ll be amazed at the wonderful give-aways, recipes and gardening tips to be found. And who knows, you may just find your next favorite author, as well. 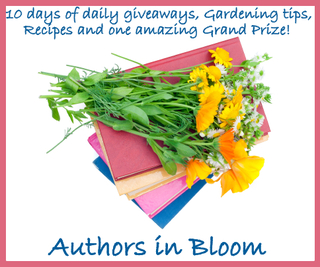 Visit each author on the list for the Authors in Bloom Hop! And don’t forget to leave a comment and you email contact on each site to qualify for the Grand Prize Raffle and individual author give-aways! Hope you try the recipes! If you like garlic and lemon; these are winning recipes for you to try. Good luck in the giveaways and the grand prize! Yumm the LEMON GARLIC BARBECUE CHICKEN DRUMSTICKS recipe sounds so good!! They both do, but I love BBQ chicken and this sounds like a must try recipe! Thank you for the chance to win such an amazing prize!! Savannah, I’m thrilled you dropped by my blog and that you found my recipes. They are perfect for a summer night! Enjoy! What great recipes Mary. Love lemon and will be trying them soon. 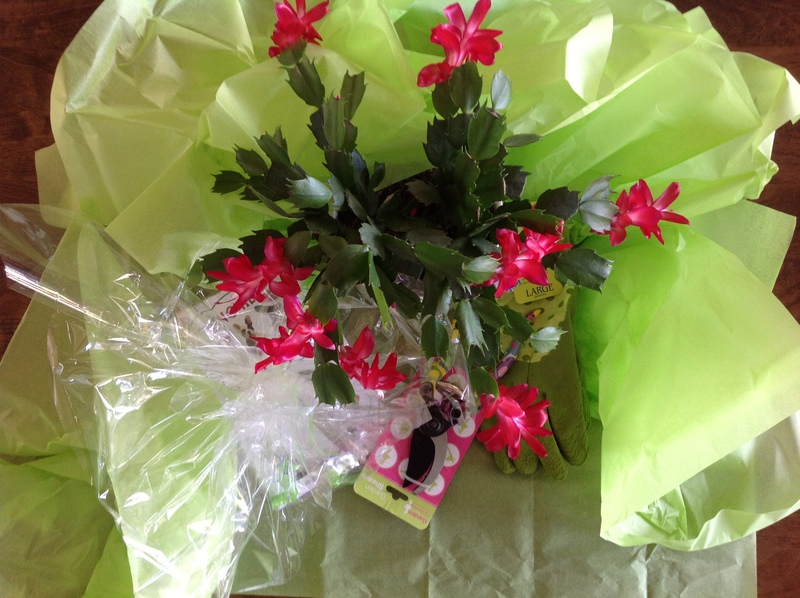 Thanks for joining the Author in Bloom Blog Hop Rhonda! 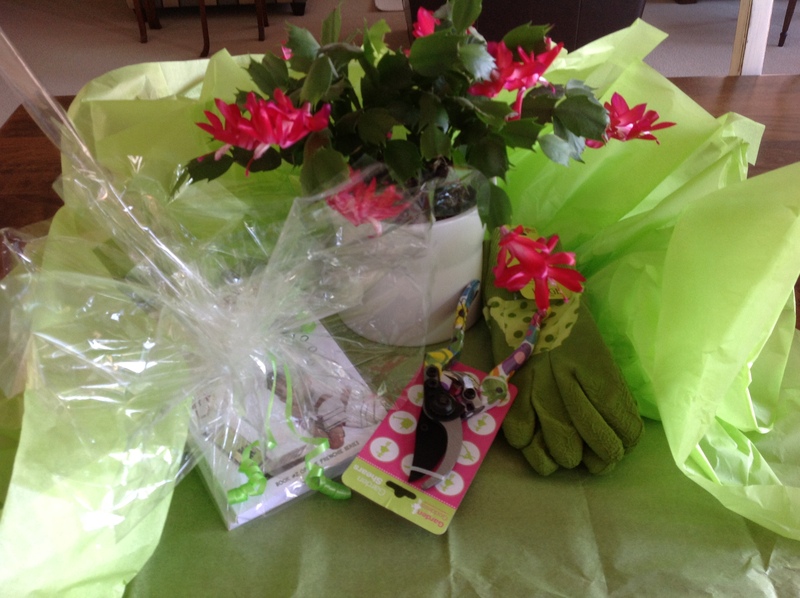 You should find some wonderful gardening tips on some of the other sites, knowing what a “green thumb” person you are! 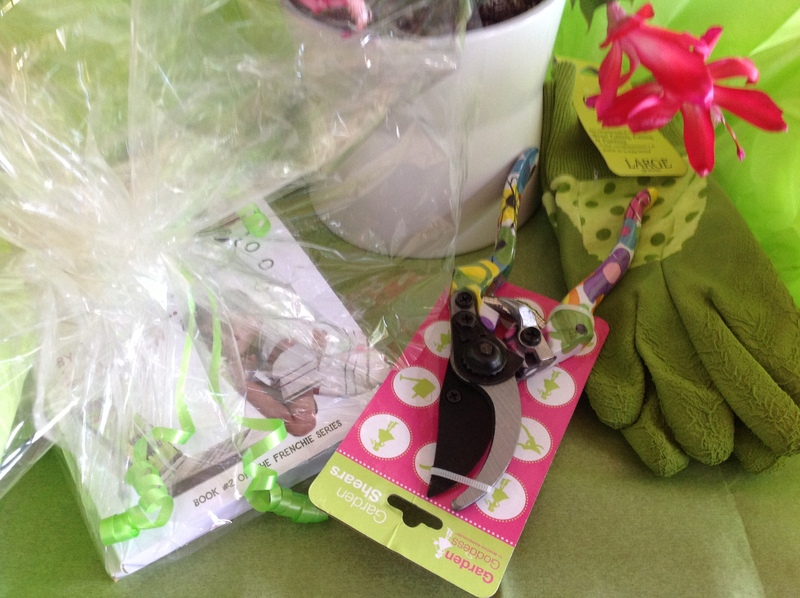 Those are cute shears, someone ran off with mine last fall… Thank you for the recipe and for being part of the hop. Thank you Jeannie for visiting my blog site. Good luck with winning give-aways and the Grand Prize. Thank you for the chicken drumsticks recipe. Enjoy the barbecue and thank you for participating in the Authors in Bloom Blog Hop! Good luck! Sorry to hear that the recipes don’t work for you; I couldn’t live without garlic in my diet! Good luck Sarah with the give-away raffles and Grand Prize draw. Thanks for visiting my blog site, come back again! My son has recently become a shrimp fanatic (the only one in our family), so thank you for sharing a recipe I can try out for him! I guarantee your son will enjoy the lemon shrimp spaghetti recipe! 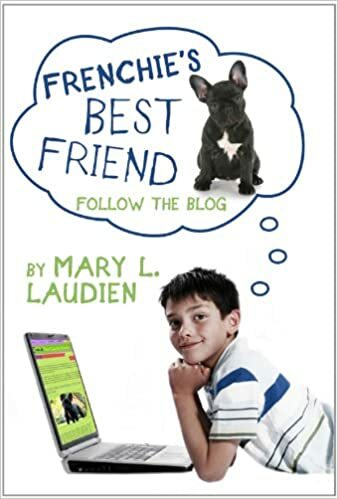 Did you check out my Middle Grade novels while you visited my blog site? 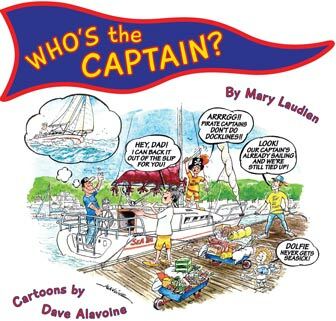 He may enjoy these humorous reads, as well! 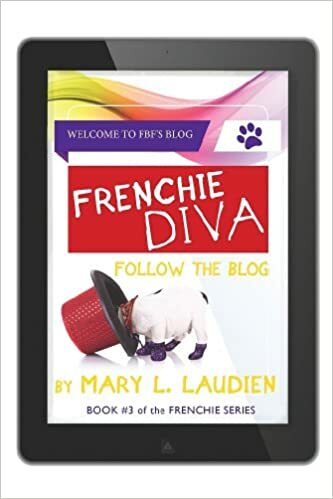 (The third in the Frenchie series is going through it final edit and revision.) Good luck with the give-away raffles and the Grand Prize Draw. So glad you dropped by my site. Meghan, I couldn’t agree more with you about the sunflowers. We’re landscaping our yard right now and have a bed of sunflowers planned… hopefully the deer won’t like them! Thanks for visiting my blog site and good luck with the give-away raffles and Grand Prize Draw. Come back anytime. I’d love the cauliflower soup recipe! Ninette, thank you for visiting my blog site during the Authors in Bloom Blog Hop. I hope you enjoy the recipes. I will check out your post, as well! Thanks for taking part in the Authors in Bloom BLog Hop! I’m so glad that you liked the recipes and want to wish you luck in the give-aways and the Grand Prize. Come back and visit my blog anytime; you’d be so welcome!